I studied with Dean Powell for a couple years. 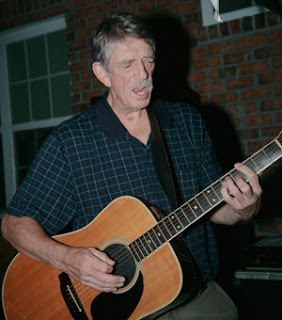 He was a guitar teacher in Metuchen, but he rapidly morphed (for me) into a composition teacher. He also took me under his wing and taught me music copying -- which is something we used to do before computers. He did a lot of work for Miles Davis and for commercials. He also helped me put together the band Pavlov and the Drooling Dogs. I met Pat Dubois through Dean. I heard that Dean just passed away. I haven't seen him in at least 20 years but he had a tremendous influence on me. I know that many others were greatly moved by Dean and he will be missed.